In a continent that was torn asunder by warring gods, guide two armies through brutal tactical battles—as this reimagined RPG epic invades the West! Uncover the intertwining stories of Alm and Celica, engage foes, fend off dragons, and explore 3D dungeons. Your prowess will grow as you master this melding of modern and legacy Fire Emblem™ gameplay. Alm and Celica lead separate armies united by a common goal: to stop the war and unify Valentia. Each army has its own path, units, and supplies, so balance their needs. Here, battle is waged in the traditions of elder Fire Emblem™ games, when the rules of battle were simpler, yet the challenge formidable as ever. When you encounter a dungeon, explore it in action-adventure style: smash false walls, break pots, or ambush enemies with a slash of your sword. You never know; you may stumble upon some uncommon items…or a hidden tactical battle with a brutal boss. But these breathers come to feel all too brief over the course of Shadows of Valentia. Make no mistake: This is a game about sitting through cutscenes and playing battles. That gets tiring more quickly than a better-balanced game would — especially because Shadows of Valentia is committed to preserving those same dated systems. Its story was gripping enough to pull me through, but mustering the energy to sit through obtuse battles was Shadows of Valentia’s biggest challenge. The dumbed down combat mechanics give way to a pure strategy-driven venture that’s sure to sink its hooks into unsuspecting newcomers and veterans alike. On top of that, it doesn’t hurt that the narrative is expertly told through a series of animations and dialogue snippets that feature some of the best voice acting the series has featured so far. Far from the quick-and-dirty update it might have been, Shadows of Valentia is no Awakening, but an enlightening and worthwhile history lesson. Fire Emblem Echoes is a fantastic remake and a striking departure from modern Fire Emblem staples. What it lacks in interpersonal character relationships and user-controlled "shipping," it makes up for in meaty, challenging strategy gameplay, engaging exploration sequences, and a tighter overall narrative. 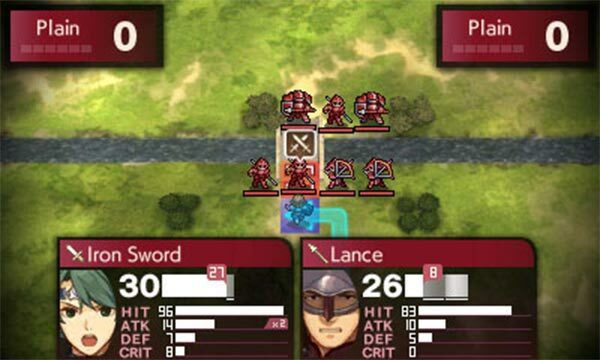 Taken both on its own and as part of the larger Fire Emblem franchise, Echoes's unique elements help it stand out from its contemporaries. If you feel like you're up to a lengthy, engaging challenge, then Echoes will satisfy in spades. Fire Emblem Echoes: Shadows of Valentia, by no means a flawless entry in the nearly three decade-old franchise, may well be the closest the series has gotten to somehow finding a happy medium between past legacy and contemporary appeal. Robust, entertaining and perilously engaging, while it may still find itself tainted by contemporary RPG standards in its character cast-listing or adamancy in offering “more” for the pure sake of it, Fire Emblem’s own “remake” phase in the end pays off in ways both clear and subtle alike. Despite having many of the series’ staple complexities stripped away, Shadows of Valentia proves a thoroughly enjoyable adventure. Those who found the Fire Emblem series too intimidating due to its difficulty and overwhelming depth need look no further for their accessible entry point to the franchise. I both love and hate this game. The bulk of the package is so good that it's tempting to forgive its unbalanced difficulty. But alas, the combat comprises the majority of the game, putting Shadows of Valentia's more obnoxious qualities front and center. 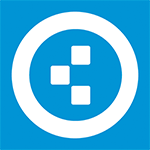 It's worth checking out, but be ready to be immensely frustrated. It's 2017, and the 3DS is in its sunset years- but Fire Emblem Echoes stands as one of the best additions to its library yet, and one of the best games in a year that has so far been full of fantastic games. It’s funny how a remake of a game that never originally hit the West can feel like such a step forward. There are a couple questionable choices, like the removal of the weapons triangle, and series purists might grumble over some other changes like dungeon exploration, but overall Shadows of Valentia feels like the next great step in Fire Emblem. Fire Emblem Echoes could have been held back by its need to usher the second iteration back into the fold, but it still feels like a fresh new entry. It is weaker than the last few games, but those bars were set so high that I won't hold that against it. 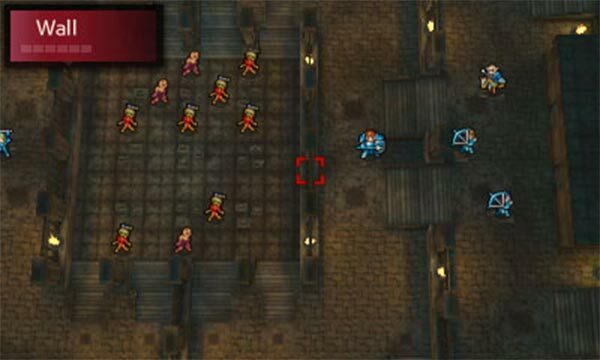 Whereas Shadows of Valentia suffers from uninspired level design, it makes up for it with its twin armies, fun dungeons, and returns to form. It is a welcome step back from the previous 3DS Fire Emblem games as it focuses on a tighter narrative while providing us with a glimpse towards the future as Shadows of Valentia ventures into new territory with its explorable areas and fresh gameplay mechanics. The Fire Emblem series has become much more of a worldwide success in recent years following the release of both Fire Emblem Awakening and Fates, and now Nintendo is looking to continue that growth with a remake of an old Famicom entry in Fire Emblem Echoes: Shadows of Valentia. Built around a captivating story told from two sides, the usage of a world map together with the classic style battle system makes Fire Emblem Echoes: Shadows of Valentia yet another must play game for the franchise. I played through on normal mode but you can play on classic if you choose. In classic if your character falls in battle they are gone for good. Almost. There are a few spots that have Water of Revival. These can bring back a dead unit but they are few and far between. All said, I see Emblem enthusiasts having a pretty good time with this one, even more so if they can enjoy the plot more than I did. The charming, reliquian nature of the game may not appeal to everyone, but if you like Fire Emblem, strategy, and can appreciate gaming history, then there's absolutely zero reason not to pick this up. 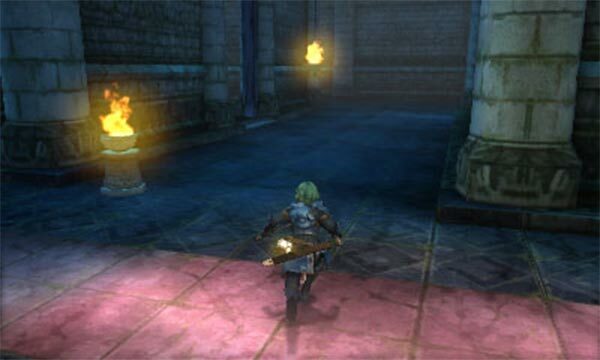 If you are a regular Fire Emblem fan and have previously experienced the other Nitnendo 3DS adventures, you are going to have an absolute blast with Fire Emblem Echoes: Shadows of Valentia. However, without the high bar of quality we’ve seen in the previous two games, Echoes may not hook newcomers the same way. Fire Emblem Echoes changes enough to make you play the game differently while retaining most of the key aspects of what makes the series so great. The characters and story all connect well, the presentation is top notch and most importantly, the game is still very fun to play. While Awakening and Fates feel like more fleshed out experiences, Echoes bucks Gaiden’s legacy of being the black sheep of the series by not only providing the solid Fire Emblem experience that has resonated with me for so long, but also providing a new, interesting way to play the game. 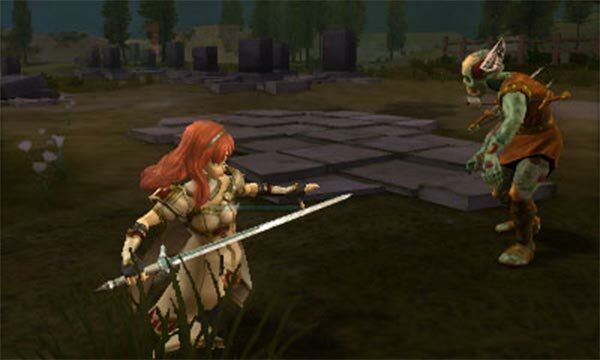 Overall, Fire Emblem Echoes: Shadows of Valentia, while feeling like an older entry, might very well be moving the series forward in certain aspects that could potentially return in future outings. Overall, I really enjoyed what Fire Emblem Echoes: Shadows of Valentia had on offer. The sheer amount of quality is impressive and delightful. You can see it in how the story, presentation and scenarios are set up which are on the top of their game. I flew through the game in 18 hours and am already ready for another playthrough. That being said, there are two knocks I have against the experience. The game felt somewhat on the easier side and the dungeons could've had a little more to do. Those are minor things in a journey that doesn't slow down from start to finish. If you’re here to be enchanted, Fire Emblem Echoes delivers in spades. Easy to get into for new players, with simple controls and relatively low difficultly in casual mode. The dungeon sections and having two armies to control are neat gimmicks. Simplified combat and role-playing elements mean a lack of depth compared to the recent non-remakes. Story and characters are simplistic and cliched, although not irritatingly so. Fire Emblem Echoes: Shadows of Valentia manages the remarkable trick of remaking one of the oldest entries in the series, and making it feel fresh. The major differences from the other 3DS games may take some getting used to, but long time fans will relish the return of some purity to the tactical action, while this is easily the best-told story the series has ever seen. All in all, one cannot escape the fact that Fire Emblem Echoes: Shadows of Valentia feels like an old game with a new look. This isn't a negative thing in itself, but even though it's nice that Western gamers may finally acquaint themselves with this classic, there are several small issues you may notice if you're used to newer games in the series. A lot of it comes down to the fact that Awakening and Fates are two very good games. Fire Emblem Echoes: Shadows of Valentia really surprised me. What I thought would be a simple spin-off game ended up being arguably the best Fire Emblem game I’ve played. 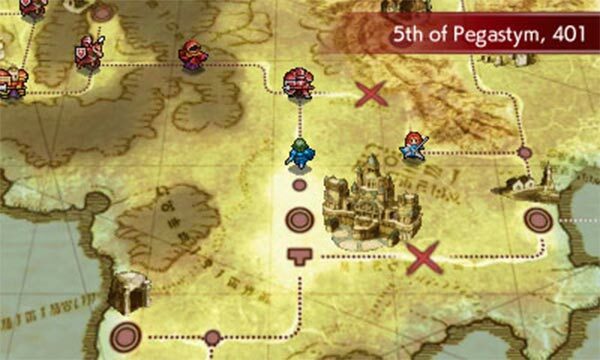 There’s more than enough new things to spice things up for series die-hards, and newcomers will enjoy things like being able to turn off “permadeath.” With some of the best presentation on the 3DS, Fire Emblem Echoes is a must own for RPG fans. Fire Emblem: Shadows of valentia asume el riesgo de innovar, y lo paga en forma de unas mecánicas que no acaban de brillar al mismo nivel que el resto de la saga. Aunque al principio resulta fresco y la historia y nuevas mecánicas muestran potencial; poco a poco las incesantes batallas contra enemigos aleatorios y mazmorras clónicas se acaban haciendo repetitivas, hasta poder llegar a aburrir. Este sería un gran estreno en caso de que se siguiera la senda de mantener el sabor de los clásicos pero sin renunciar a los nuevos tiempos en la franquicia. Trae novedades, pero al mismo tiempo cultiva aspectos como la narrativa o el apartado artístico, convirtiéndolo en un título ideal para todos los amantes de los RPG tácticos, pero especialmente indicado para los seguidores de la franquicia. Intelligent System nos trae de nuevo Fire Emblem Gaiden visto a través del prisma de sus últimas producciones para Nintendo 3DS. Estamos ante el juego más accesible de la franquicia dentro de la portátil de Nintendo pero puede suponer una decepción para el jugador más veterano. A pesar de ser un remake, Fire Emblem Echoes: Shadows of Valentia se constituye, no solo como uno de los juegos más destacados que llegarán a Nintendo 3DS este año, sino como una de las mejores entregas de la saga gracias a la mezcla resultante de novedades como la exploración en 3D y de elementos más clásicos. Si eres fanático de esta serie, estoy seguro de que Fire Emblem Echoes: Shadows of Valentia está dentro de tus prioridades y te aseguro, cumplirá con tus expectativas siempre y cuando entiendas qué tipo de producto estás por consumir. En caso de que nunca le hayas entrado a uno de estos juegos, puede que este estreno de 3DS sea un buen comienzo, pues como te decía, regresa en buena parte a todos los fundamentos y bases de esta fórmula que tanto nos gusta. La brillantez y magia habitual de la saga sigue aquí muy presentes, así como las magníficas sensaciones que suele transmitir el concluir con éxito y sin bajas una batalla, por lo que no podemos hacer otra cosa que recomendaros su compra a poco que os guste la serie o el género. Y si nunca os habéis atrevido con ella, quizá sea el momento de ir descubriendo los motivos por los que tras 27 años sigue siendo uno de los grandes referentes actuales tanto de los SRPG como de la estrategia en general. Dieses Fire Emblem Echoes: Shadows of Valentia mag auf den ersten Blick so aussehen und hinsichtlich der Animationen so überzeugen wie Fire Emblem Fates. Aber es ist das schwächste, das ich bisher gespielt habe. Ich verfolge die Reihe seit ihren Anfängen, ich mag das rundentaktische Prinzip und es spielt sich immer noch solide. Ich kann dieses Spiel aber weder Einsteigern noch Veteranen, sondern lediglich Sammlern empfehlen. Combinant plusieurs approches du RPG japonais en un mélange plutôt expérimental, Fire Emblem Echoes est une curiosité loin d'être désagréable à jouer, aussi bien pour les baroudeurs que les profanes. Facile d'accès sans être une promenade de santé totale, libérée du dating sim superficiel au profit de relations moins envahissantes, cette relecture de Fire Emblem Gaiden s'escrime à ne laisser personne sur le carreau tout en bousculant certaines conventions bien établies. Dans l’ensemble, Fire Emblem Echoes : Shadows of Valentia apporte une multitude d’ajouts, comme la possibilité d’explorer les villes et les forteresses du monde de Valentia, qui redonnent un second souffle au jeu d’origine. Dès lors, difficile de pas conseiller Fire Emblem Echoes : Shadows of Valentia à tous ceux qui souhaiteraient découvrir un excellent Tactical-RPG doté d’un scénario solide, de graphismes agréables à l’œil ainsi qu’une durée de vie à toute épreuve. Avec l'opus Gaiden, Fire Emblem s'était risqué sur un autre chemin à l'époque de la Famicom, afin de laisser libre cours à l'exploration. 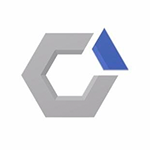 Une vaillante épopée que transfigure Shadows of Valentia, grâce à une mise en scène plus spectaculaire, un récit largement plus développé et de multiples ajustements pour remettre ses concepts si particuliers au goût du jour, le tout en respectant fidèlement l'oeuvre d'origine. Fire Emblem Echoes : Shadows of Valentia remet au goût du jour l’un des épisodes les plus controversés de la série. Alors que la plupart des changements que l’original avait tenté d’initier, (avec des allures de J-RPG plus traditionnels) n’avaient pas tous fait mouche à l’époque, ils sont aujourd’hui une autre vision de la série qui pourrait pratiquement faire office de spin-off. Mesmo com a sua dose de contratempos, Fire Emblem Echoes: Shadows of Valentia é um remake bem sucedido e um regresso às raízes mais clássicas da série que certamente muitos vão agradecer. Não sendo exactamente a realização total do potencial que tem, é indubitavelmente um bom presságio para o que futuras propostas da série podem vir a oferecer. Intelligent Systems doveva essere consapevole dell'azzardo quando ha affrontato questa sfida: l'ha vinta soltanto in parte perché, se da un certo punto di vista Fire Emblem Echoes è una ventata d'aria fresca, per quanto contraddittoria sembri questa affermazione, dall'altra manca di tutte quelle minuzie che hanno reso la serie un colosso nel campo degli strategici a turni. Emozionante e coinvolgente. Bastano queste due caratteristiche a racchiudere l'essenza di Fire Emblem Echoes: Shadows of Valentia. Non è un remake ma qualcosa che va oltre, un gioco che ha saputo prendere il meglio di sé, valorizzarsi e quindi raccontarsi in chiave moderna a un pubblico che purtroppo non ha potuto vivere l'originale. Come una strada di montagna che si inerpica su vette poco battute ma giunge nondimeno alla stessa destinazione dell'autostrada asfaltata a valle, Fire Emblem Echoes giunge al medesimo, ambizioso traguardo dei suoi predecessori, offrendo un'esperienza ruolistico/strategica di primo piano, ma lo fa percorrendo sentieri in parte nuovi, offrendo scenari alternativi per una serie che potrebbe necessitare di una ventata di aria fresca visto che Nintendo sembra intenzionata a sfruttarla a pieno, dopo anni di incertezze. Al met al is Fire Emblem Echoes Shadows of Valentia een klassieke Fire Emblem game. Dat is ook logisch, wanneer je je bedenkt dat de game een remake van het in 1992 uitgekomen Fire Emblem Gaiden is. De titel kent epische gevechten en leuke gesprekken die het verhaal voortstuwen. Het is alleen jammer dat er maar twee verschillende missies bestaan voor de gevechten.